Ducati has brought in the updated Multistrada 950 at the Ducati World Premiere 2018. The baby Multistrada has been one of the most appealing motorcycles from the Bologna-based manufacturer with key updates brought in to make the riding process a more joyous one. 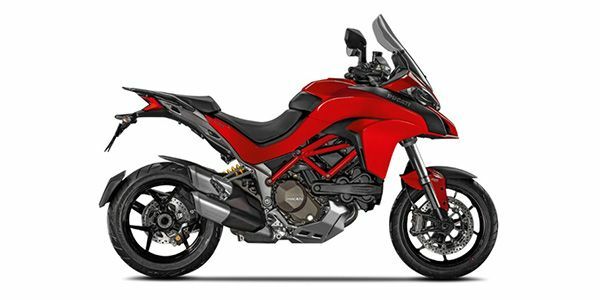 The styling has been altered slightly with the 950 now sporting the same side 'wings' as those found on the Multistrada 1260. Powering the sports tourer is the same 937cc liquid-cooled Testastretta L-twin which does duty on the Ducati SuperSport. The twin-cylinder motor develops 113PS and 96Nm of peak torque while the mill is also Euro 4 emission norm compliant. The Multistrada 950 gets Bosch 6-axis Inertial Measurement Unit (IMU), Bosch Cornering ABS, Vehicle Hold Control (VHC) for manageable uphill starts and hydraulic clutch operation. Expect these updates to arrive to India soon enough which would be fetched for about 50 grand more. Ducati Multistrada 950 prices start at Rs. 14.00 lakh (Ex-Showroom). Ducati Multistrada 950 is available in 2 variants and 3 colours. Share your experiences with Multistrada 950? The claimed ARAI mileage for the Ducati Multistrada 950 petrol is 14 kmpl. It loses one cup of displacement and some equipment, but does that make this the lesser Multi or the better Multi?